Protesters march in defense of slain teenager Antwon Rose. He says that a few years ago nearly all his students were black. Today, his lecture halls are often more than half white and brimming with community members and colleagues auditing the course just to hear how students talk about race. He sat down with The Confluence's Megan Harris to discuss the shift from protest to politics, his teaching style and the changing nature of activism for young people today. Moore travels to Pittsburgh later this month to keynote a Black History Month Lecture at the Heinz History Center. 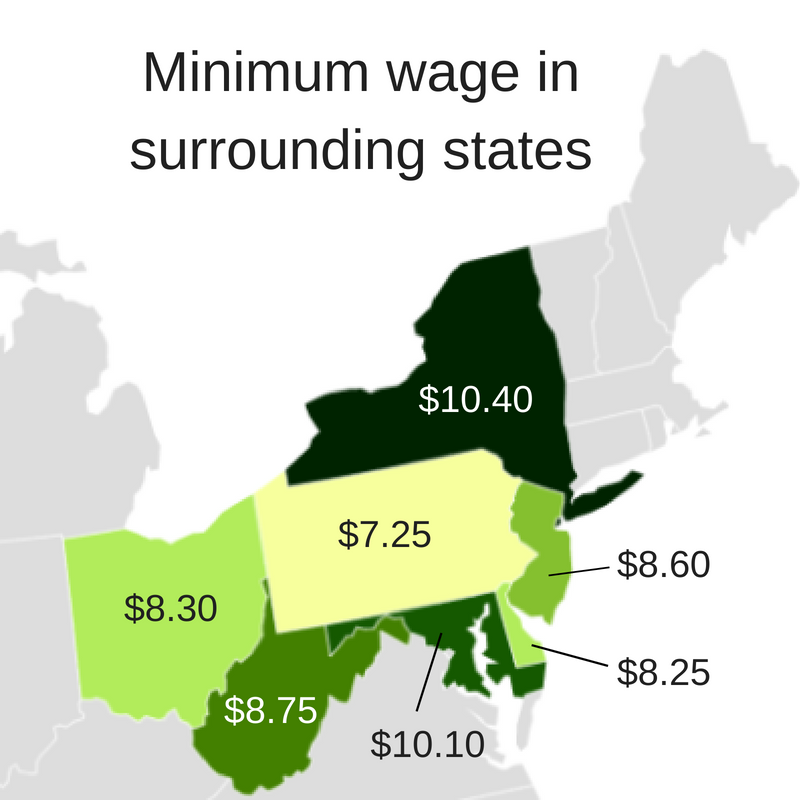 Every one of Pennsylvania's neighboring states has a higher minimum wage. Governor Tom Wolf has proposed incrementally increasing the Commonwealth's minimum wage until it reaches 15 dollars an hour in 2025. Later in the program, cultural anthropologist JaQuay Edward Carter founded the Greater Hazelwood Historical Society of Pittsburgh last year. The organization works to safeguard Hazelwood’s legacy for future generations. WESA’s Brian Cook reports on the group’s efforts to preserve the neighborhood’s history. And Gov. Tom Wolf recently unveiled his proposal to increase the minimum wage in Pennsylvania. This is his fifth consecutive year proposing the legislation; the last four efforts failed. The governor’s plan would boost the minimum wage to $12 an hour, followed by annual increases until a minimum of $15 an hour is reached in 2025. Mark Price, an economist with the Keystone Research Center. Bob Friend, who pitched more innings than anyone in Pittsburgh Pirates history, died Sunday. He was 88. Twenty-four-year-old Samantha Valley is a familiar face to staff at Dauphin County's Case Management Unit, where she meets regularly with her caseworker. Allegheny County Airport Authority CEO Christina Cassotis says federal TSA workers serving the region's two main airports are glad to be at work—and receiving a paycheck—since the government shutdown halted late last week. A PA Post/Keystone Crossroads analysis of 2018 midterm election results calls into question the idea that Pennsylvania's previous congressional map was a "voter proof" gerrymander in favor of Republicans.